It's here. The dreaded exam season. 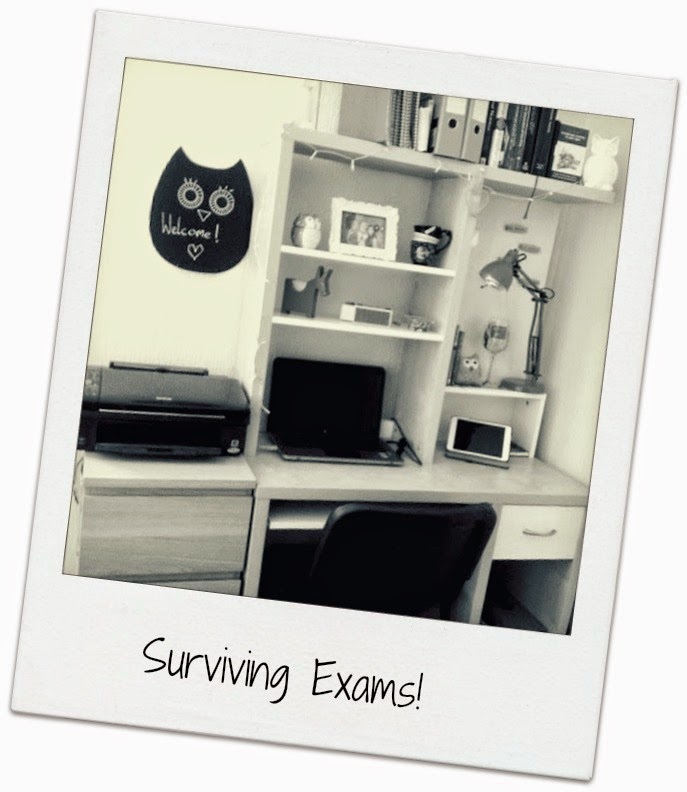 You get your exams done after Christmas and then before you know it, you're crying at your desk again...but it doesn't have to be that way! Here's a few little tips to help! 1. Buy some new stationary! I don't know what it is about new coloured pens or an unused notepad that suddenly makes me WANT to actually work! I usually pop to my local Ryman's or Staples when I lose motivation. 2. Change your environment. Sometimes being stuck in the same room all day every day can send you a little doolali. I've started doing some days in the library just to get out the house and change my surroundings. 4. Eat something. It's no good trying to learn when you're feeling light headed! I find bananas and apples make great guilt-free snacks...but if you're studying a particularly horrific topic then just crack open the biscuits..you deserve them! 5. Get some Zzzzzs...I won't ever be one of those people that stays up all night studying. I just cannot do it and value my sleep too much. And so should you. When you sleep, all the stuff you have learnt during the day has time to be stored in your mind and allows your brain to rejuvenate, ready for your next study session! 6. Have a break! It's usually better to concentrate really well for 40-50 minutes and take 10 minute breaks in between that to force yourself to stare at your work for hours and hours on end. Focus on a particular area of your work and then once you've got it, take a little break. Even just the time it takes to make another cuppa should be enough of a breather. 8. Shift things to suit you. Speaking to friends, some find they work much better in the afternoon/evening, whereas I am definitely more of a morning person. For that reason I tend to do harder work in the morning and 'lighter' topics in the afternoon. Decide when you work best and use that for more challenging pieces of work. 9. JUST DO IT! I know how easy and tempting it is to procrastinate...I'm guilty of it too but don't you feel so much better when you know you've been productive and have earned your time off. Try and remember that feeling..no one likes feeling guilty. Picture results day and how good you'll feel that your hard work has paid off! Good luck to all of you that have exams/coursework deadlines coming up, you can do it!! Great tips! So glad I'm now done with Uni! Buy new stationery just makes me feel so much more productive! I will be utilising some of these for this exam season!